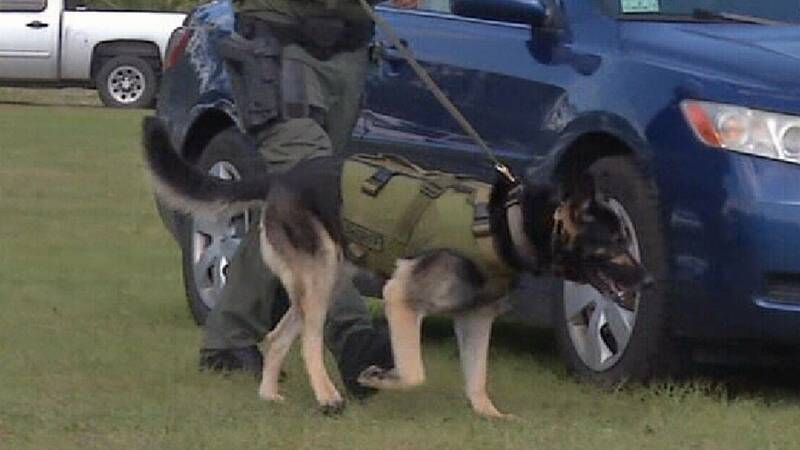 JACKSONVILLE, Fla. - The shooting death of Jacksonville Sheriff's Office K-9 Fang during a police chase may result in a change in Florida law. After our I-TEAM investigation revealed the maximum someone can serve in prison for killing a police K-9 in the line of duty is five years, State Sen. Aaron Bean is hoping to toughen the punishment. "I think we were all shocked that Fang passed away (Sept. 30) and even more shocked to know the penalty for murdering a police dog is only a third-degree felony with up to five years in prison," Bean said. 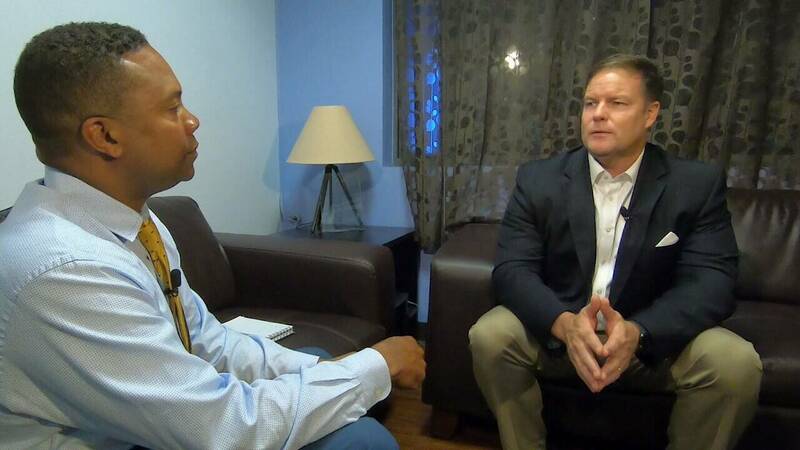 The Republican lawmaker who represents District 4 -- which includes parts of Jacksonville -- said following our investigation and a call for harsher penalties from the non-profit K9s United, he's going to try and make intentionally harming a police dog a second-degree felony. "We will file a bill in the next legislative session," Bean told the I-TEAM. "We'll have to file the bill and defend it in the Senate and the House." Fang, who was a 3-year-old bomb detector and patrol dog with JSO, was shot while chasing a suspected carjacker. According to investigators, the 17-year-old suspect, Jhamel Paskel, admitted to shooting Fang in the head. The teen is charged as an adult with killing a police dog, armed burglary, two counts of kidnapping with a firearm, fleeing a police officer and possession of a firearm by a juvenile delinquent. "There's no doubt in my mind, that (Fang) saved his handler that night," said Debbie Johnson, founder of K9s United -- a local non-profit she started to support police K-9 units across the country. Fang is the 98th police dog killed in the line of duty in the past four years across the country, and the second police dog killed in our area in four years. In 2014, K-9 Baron with the St. Johns County Sheriff's was killed while trying to apprehend a suspect. He was intentionally drowned. It was Baron's death that prompted Johnson's passion and her non-profit, because she says a police dog's life is just as valuable as his human partner's life. She wants the law to reflect that. "They are law enforcement officers. They are not just a dog or a tool. They go out every single day to protect us," she said. K9s United started an online petition Oct. 1 -- the day after Fang was killed. 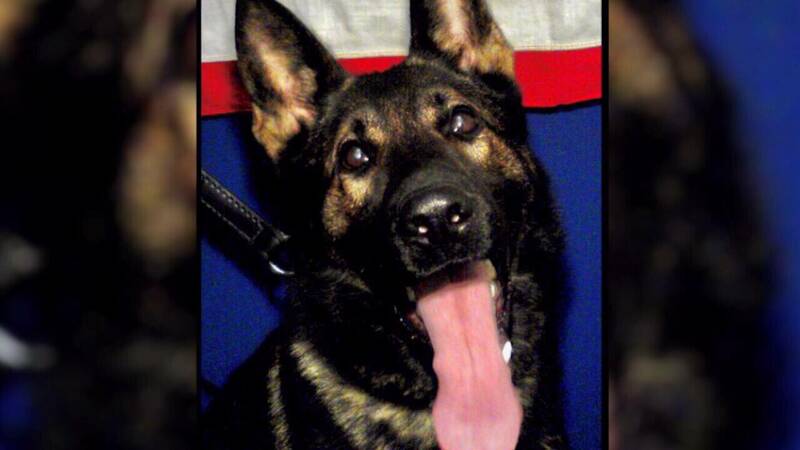 More than 15,000 people have now signed that petition saying they feel a criminal convicted of intentionally killing a police dog in Florida should face a stiffer penalty, just like Utah, where killing a police dog in that state is now punishable with up to 15 years in prison. "If we can strengthen the laws, that street-smart criminal might stop and think that they might serve more time if they kill a K-9," said Johnson. Bean says when he files his bill, he hopes to send a strong message of support to police officers who have taken the oath to serve and protect. "We stand with you. We stand with you, you put your lives on the line, your animals put their lives on the line for everybody, that we're going to stand with you," said Bean. "I think that's important and it lets everybody know that we value life, we value the rule of law." Florida's next legislative session is scheduled to begin March 5, 2019.